Preparation works for the launch of Proton-M booster with Russian direct broadcasting satellite Express-AM4R are under way at Baikonur spaceport. 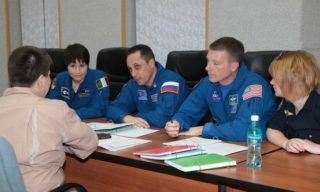 Recently Khrunichev State Research and Production Space Centre along with other space industry specialists have accomplished a series of important technological operations. General assembly of Proton-M space rocket was started in #111 integration building on May 8. 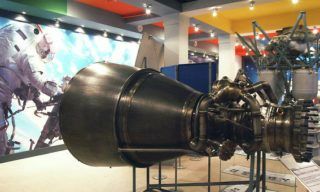 The main assembling operations included docking of the head with booster, electrical tests, leakage test of thermal control system pipes, space device batteries charge and installation of thermal shield on rocket’s nose fairing. On May 11 after completion of all operations in the integration building the rocket was transported to the fuel servicing area where Briz-M upper stage low-pressure tanks were filled with propellant components. 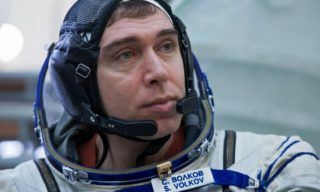 Filling operations were completed on May 12, – Khrunichev Centre press-office reports. In accordance with technical management decision today on May 13, 04.30, Moscow time Proton-M booster with Briz-M upper stage and Express-AM4R space device was rolled out and installed on #200 launching pad and service truss was attached to it. 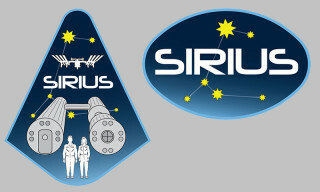 Space industry launching crews started working in accordance with fisrt launching day schedule. Proton-M booster launch with Express-AM4R space device is planned for May 16, 01.42, Moscow time. 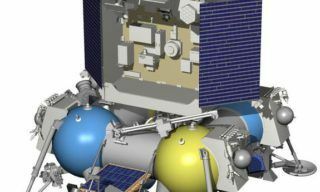 Express-AM4R space device was designed by EADS Astrium Compnay by Space Communications Federal State Unitary Enterprise order in the framework of Russian Federal Space program for 2006-2015. Space device weighting about 5755 kg was developed on the basis of Eurostar Е3000 platform and equipped with 63 transponders of С-, Кu-, Ка-, L- range and 10 antennas to Russia and CIS countries with communication. At the present time Express-AM4R satellite is the most powerful and high-technology of Russian satellites. It will be the 3rd satellite of Express series launched in 2014. On March 16, 2014 Proton-M booster and Briz-M satellites successfully orbited Express-AT1 and Express-AT space devices.